The Reality Gap For Tottenham Hotspur? According to some fans we are in imminent danger of losing all our players if we don’t start paying them a lot more. The only trouble with this is that they’ve been saying it for two or three years now and in that time the squad has got stronger not weaker. So why the reality gap ? Start with the selling side. One of your players is offered twice as much to play for United is he interested? Probably. Now imagine the sames offer but from Everton or West Ham, is he still interested ? Probably not. While there are clubs out there who can tempt our players the truth is there’s only about half a dozen of them. The thing is though that these clubs already have strong squads, so they are only going to be interested in players who plug a gap or represent a significant upgrade. Guardiola paid £50m for Walker because he didn’t have a fast right back but he isn’t going to be interested in Eriksen while he’s g! ot De Bruyne and Silva. Kane is maybe the best centre forward in Europe but City and Liverpool have so much firepower already he’d represent a hugely expensive marginal upgrade. Rose is finding out about the restricted market, he thought he was going to United and now they seem to have lost interest he’s stuck with nowhere to go. Add to that the player’s preferences, Kane may interest Madrid and Barcelona but Harry doesn’t show any desire to leave London let alone England. On the buying side we have shown that a combination of good scouting and good timing can reap dividends. Ali and Dier represent the good scouting side. Timing though is also important. Everyone knew Alderweireld was a good player when we signed him, but for some reason at the time no one else was that interested. We’ve seen a similar situation with Moura, again everyone knew he was good but the circumstances meant we could get a good deal. Its about doing the deal when the situation works in your favour rather than throwing away money in a seller’s market. The other aspect of course is player development, improving what you’ve got. 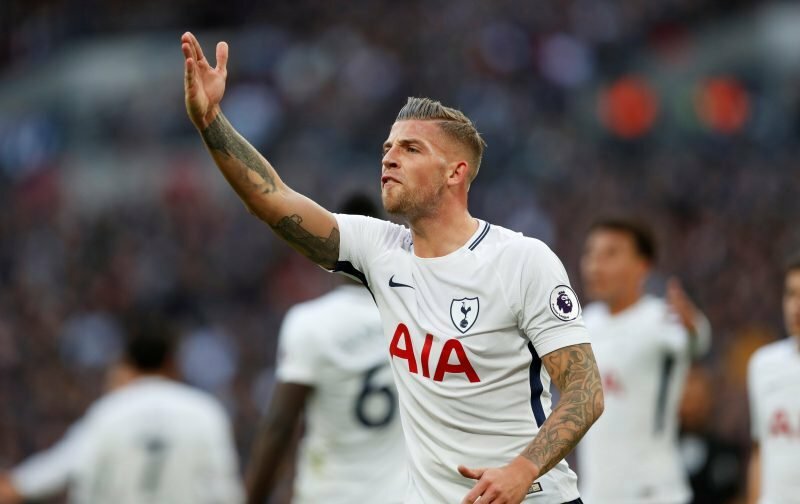 We are seeing it with the Alderweireld situation. A couple of seasons ago losing Toby would have been a disaster, he held the defence together. You would still prefer to keep him of course but you know the defence won’t fall apart because we are playing without him already. Last season I still thought of Vertonghen as Toby’s sidekick, someone who struggled if his partner wasn’t there. This season he has taken a big step up, now he bosses the defence. Even in Jan’s absence Dier and Sanchez have still got the job done. A player comes in and over time he gets better, maybe starting off as no more than an occasional substitute but gradually becoming an integral part of the squad. Do that with enough players and it becomes a moving target, the loss of any one player (except Kane at the moment) becomes less and less critical. What I’m saying is that firstly we haven’t been and will not lose players in the numbers the prophets of doom claim. Players will leave sure, after all Barca couldn’t stop Neymar leaving. It only becomes a problem when we lose more in quality or numbers than we bring in. Secondly we can and do acquire good players, we just do it intelligently. Thirdly (and often overlooked) we develop our players, make them better players. Acquisitions and development are currently running well ahead of departures and as long as we keep doing what we have been doing I don’t see that changing. We’ll be finding out this summer for sure – WC year aswell with lots of talent on display – even more focus on the European teams in it seeing as no Italy, Holland, Turkey. Belgium will be heavily scrutinised – quality squad and England also as usual. We seem to be bridging the gap nicely and like was said above Barca could not keep hold of Neymar and nor Liverpool of Coutinho, so unfortunately given our quality every now and again one or two will go but luckily we appear to have good scout’s and development team’s in place meaning we can go out and sign younger ready made replacements and for cheaper (hopefully) and keep the clock ticking towards re-joining the elite permanently and competing adequately. Just goes to show as I’ve said elsewhere what legend’s the likes of Verts, Dembele and Lloris are for dedicating themselves to the club when I’m sure if they wanted could easily have courted offers elsewhere. I have a feeling we might not sell anyone this summer and get away with it and if so and if we tweak it right next season could be the real start of something special with the new stadium. We need to aim for City’s standards and keep realistically at least within top 4 limits – that’s our parameters. Want to see us challenge for the title because in doing so it means we’ll be challenging for the CL and FA Cup as a natural consequence assuming of course we keep building the squad from strength to strength. People say that Toby is stalling on a contract at Spurs, but my guess is that Spurs are stalling on a contract for Toby. If we get into the Top 4 and win a cup then Spurs will offer him the contract he deserves. But if we finish 5th and no cup then I can see that we will sell him while his value is high and reinvest in a younger model or two. The same can be said for Rose and if you look at the number of games they have played this season, could you say they deserve new improved contracts? Legend23 – Selling Rose may not be as easy as you think, does anyone actually want to buy him ? Legend23 – thought the same myself – are they deserving of a new contract and even if so when to give it to them?! It’s a very good point that we’re not guaranteed CL footy next season so might be a question of also seeing what happens as the 3 Northern clubs have come hard and Chelski are last season’s champions so it remains to be seen were we finish and what the situation is for next season. No CL footy means our ambition’s squad wise might need to be revised hence why it’s so important to finish top 4 and get in there to the CL. Yes it’s all about money and we win nothing trophy wise but we win more money and thus get to hopefully keep and attract better and new players of the highest calibre – better spectical for us, more exciting and more chance of success. Like I said I think there’s a chance no one will be sold but depends on us getting CL footy again and then we can tweak the squad in our favour and really start to build something great again! Jod – correct, who will want Rose at the price we quote. Personally I would take Shaw over Rose in a heartbeat. If Levy manages to get an extra £20m then thats a bonus. It kind of makes me wonder, that with all this speculation about those two, where are all the actual solid, bona fide bids from the top clubs for all the others that are spoken about as possibly wanting out every season, (and supposedly being coveted by all these other clubs), during either MP’s time or longer? Who has actually made a bid for Jan, Dembele, Dele, Hugo, Dier, Eriksen, Son etc, and, last but not least, Harry? Season in and season out, the speculation comes and it goes, in spite of not winning anything. And because of this, I think it is safe to assume that all of those players have been happy and are still happy to remain at THFC. Until such time as they are not. And, as with Bale, Modric and Walker, it’ll probably be more than obvious when they do want out. As it now seems with Danny and Toby. But, even so, this may yet to be the case. As for now, there’s still a season to carry on with. And, God knows, when the summer TW opens (earlier than before), there’ll hardly be one Spurs player that will not be spoken about with regard to leaving… So why all the premature VS speculation just now? If we are not successful (no CL, no cup) then apparently some will want to leave. If we are successful, then guess what? Some will be expected to leave anyway. What’s it to be Tottenham Hotspur players? Lose and leave or win and go, anyway? Because, you’re ‘probably’ gonna be wanted elsewhere and, for much bigger benefits. Make your minds up now… Please! Thank you for a very good article, jod. And, I agree with all of it. Spurs continually raid other clubs for their best players and our best players are linked to other clubs. You can’t blame a player wanting to get a bigger and longer contract, which is all part of the game. I do believe that Spurs have improved our squad of players year on year and expect us to do the same this year. Of course money is a big factor, but coach and style of play also play an important part. If was a Spurs player now, the only other PL team I would consider is City. Liverpool might also look tempting, but they’re as bad at the back as they are good going forward. Then if you go to City, will you play? Players always are temporary. Just about all clubs are selling clubs, including Manure, Poo, Chelskum, and Barcelona. Barcelona couldn’t hold onto Neymar. Let him go. Causes too much turmoil, no matter the talent. We are in the mix, we bring them in and, at times, send them along. I like our approach of bringing in youth and developing them, but some work out, others don’t. Remember Giovani Dos Santos? Sat on our bench for a while. Just got rated as the single most over-rated player in MLS in North America. lol. ESPN wrote that his reputation comes from having played at two big clubs in Europe: Spurs and Barcelona, but he hardly rated as anything for us or for Barça. lol. Let them go, and let them gain their reputations by sitting on our bench. Like that RB at Citeh these days, what’s his name? It’s the name that misses Peters at the end. At least he played some, until Poch was wise enough to sit him more. Let’s develop Foyth and Sanchez at the back. Even Aurier could become a beast. Toby? Breaking down too much. Sell him on while he still gets a price. Legend23 – Not what I meant. As I said in the article there are only about half a dozen clubs who can provide our players with both the trophies and wages that will get them to move. The flip side of that is if none of those clubs are interested in Rose he can simply see out his contract. Whether we want to sell him at whatever price doesn’t matter if he doesn’t choose to leave. Jod a good article, agree with you. As the saying goes.. the grass is always greener elsewhere.. Until you’ve been there a while… Toby is a damn good CB but if he wants to go / poch & Levy agrees as well then sell to an outside UK club. We have Foyth who is getting better and looks to be a very good signing by poch. and Levy. Also we have Sanchez as well improving. So next season these two and Aurier with 1 of the DMF to cover Aurier attacks, we are ok on right side, (if toby goes) IMO. The thing for Toby is he’s 29 he has maybe 3 – 4 years left at the top before he goes the way of the likes of Lampard or Terry. The so called pay dispute is a myth. Levy pays the players bonus money that’s how he gets around increasing the wages bill so it doesn’t look like he is over gearing the club. Personally I don’t like this kind of payments system but it suits levy and the Accountants because the bonus’s are in alignment with the clubs cash flow. ENIC (Uncle Joe) doesn’t want to sell a club with a massive wages bill but even he will have to agree that there is a market rate. No qualification to CL next year will see a drop of income of £40m in TV Rights not to mention the gate receipts revenue drop if we end up in the Europa. Qualification to the C L next season is still Poch’s main aim, why? because he can still go into the market in the summer with an attractive proposition. Also our share value still remains up if we make the CL next year. If Toby goes it will be because he wants the titles and trophies Kyle Walker is now enjoying that’s what turned Rose’s Head. Kyle and Danny are both from the North at the end of the Day and whilst WHL was their spiritual home their hearts are still in the North, for Toby he wants to end his career on a high so Levy and Poch had better supply the highs ! You cant build a state of the art Stadium and fill it with League Cup and FA Cup trophies the Levy and Co are either in it to win it or we are not so we will have to renegotiate contracts or lose key players and I don’t think we have come this far to blow it now ! I am just very very pleased that I was around in the era when we sought, signed, and kept the best players, and yes apart from Bill Nicks team we failed to won the league bit we won a few trophies at shorter intervals than the 1 in 10 years we are currently beaver averaging. I would pay every first team player a flat rate of £125k per week. The increase in attendance money at Wembley, and the new stadium, will make it affordable. Much as I hate to see players earning that much, to lose players because oil clubs and Russian money clubs can buy anyone they want and pay whatever they want, it ruins the whole game for everyone else. Whats the point of building a squad then having them see what other players are earning and want a piece of the cake. Make everyone happy and pay the wages. Everyone gets the same and no favorites. Woodall, unfortunately no business works like that. The best get the biggest wages in all industries. Same in football. Good article but most of our players are under long term contracts so very few are attractive to other clubs as they will have to pay very unattractive prices for the:. Whatever we will be in good hands with Poch. OyVeh Maria – Not really sure what you are trying to say but as far as your conspiracy theories go if you want to sell the club then saddling it with a massive debt first because of the new stadium isn’t the way to go. If you actually looked at the balance sheet its not going to look too healthy for the next 5-10 years.